Dropbox: The Most Amazing Thing to Happen to a TpT Teacher! Alright... let's see a show of hands for all of you that have about 10 flash drives scattered around your purse, desk, drawers, home, and school. We all know we do it! I have them everywhere and to tell you the truth I don't know what is on which. Then Dropbox entered my life! Dropbox is a free and easy way to save things on ANY device you may be on and then pick up where you left off on ANY other device. For example: I have my computer at school, a pc at home, and a mac at home. Once I downloaded Dropbox I save directly to my Dropbox file and it updates my saves onto all of my devices!! Love Dropbox been using it for last two year, most wonderful resource ever!! LOVE Dropbox! I don't have a panic attack when I realize I left my flash drives at school! (I live 30+ miles from school, so returning is NOT an option!) The best feature is that I can use it through my phone! Just came across Dropbox, but you have given more of an insight, thank you! You are always a smart cookie! totally agree!! I LOVE dropbox! I just found out about it recently! It is so much more convenient!! :) So awesome! Thank you for the tip! I can't tell you how many times I have had a panic attack thinking I lost one of my flash drives! Great idea! I use Dropbox from time to time, but never thought of using it as my back-up for my school files. 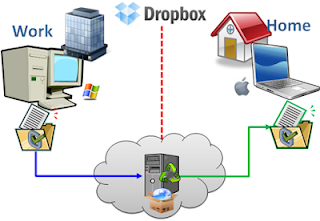 Dropbox sounds too good to be true! I will check it out AFTER reading more here at your blog! Don't want to rush my reading! Thanks for sharing a great resource. It definitely has worked wonders for me.